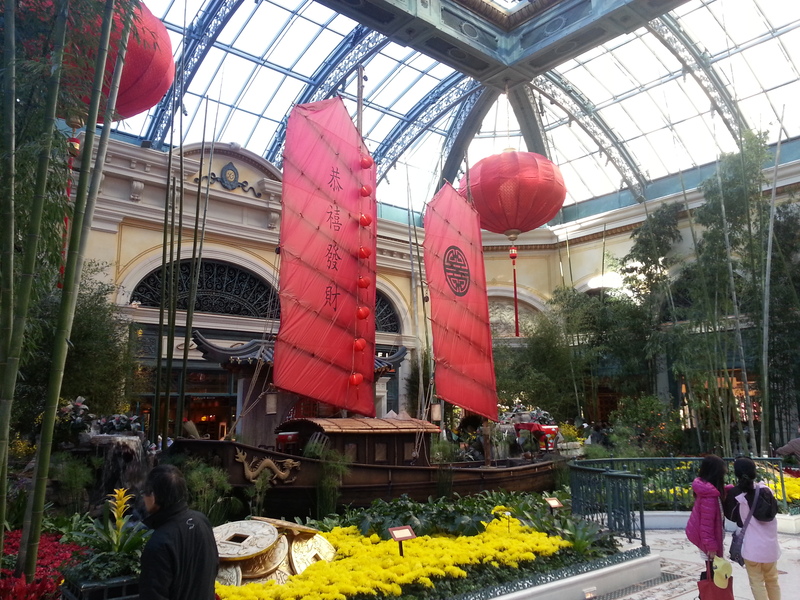 The Bellagio Conservatory offers free exhibits every season plus Chinese New Year. Splendid for solo travelers, couples, and families. 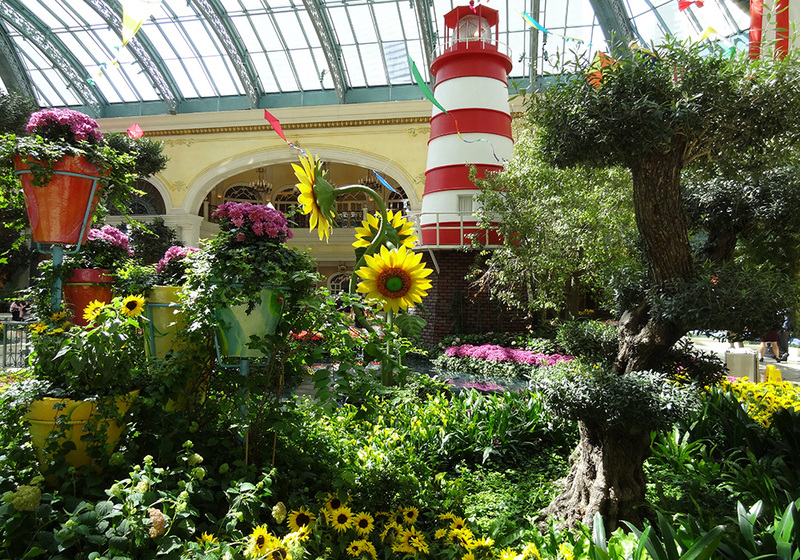 Each bright, sun-filled, flower-intoxicating display invigorates the body and inspires the soul. 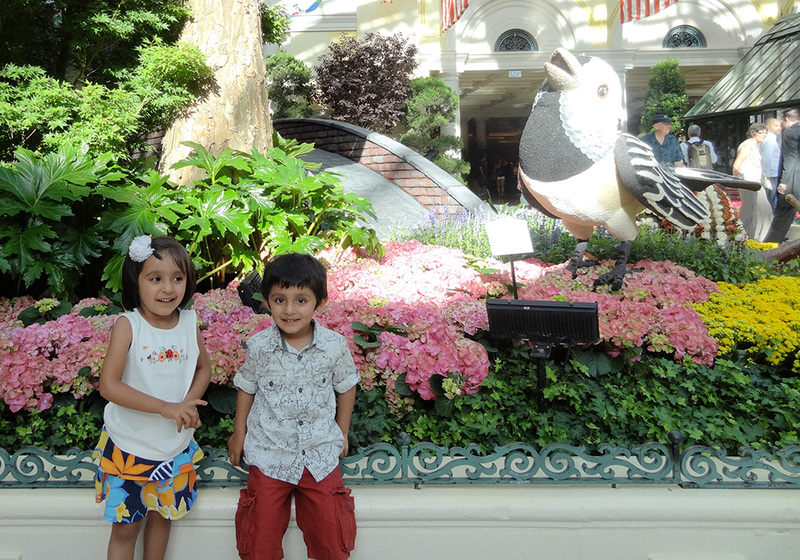 They just created their Summer Garden Party, which runs through September 8th. 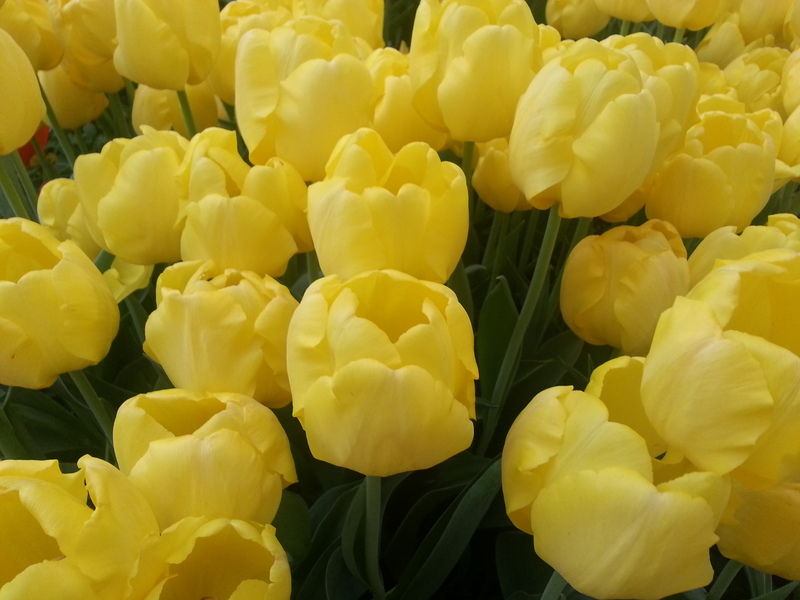 I spent all day yesterday strolling around, enjoying the sunshine (streaming down through a massive skylight), smelling the flowers, taking pictures, taking videos, talking to Mrs. Green Thumb (10:30-11:30), and listening to the live musical performance, a groovy energetic saxophone player (5-6pm). 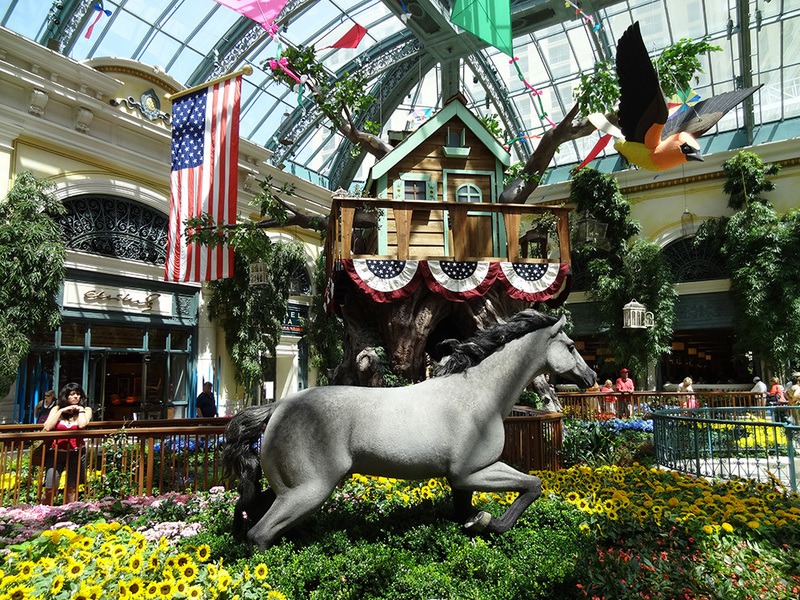 Kites and papier-mâché birds float above you, suspended under glass and sun, while large draping American flags kick-start the feeling of summer. A rowboat bobs in a pool near a romantic footbridge and pleasant waterfall. A large model snail appears fairytale-esque with 1200 roses lining its back. You can see a variety of fresh flowers. 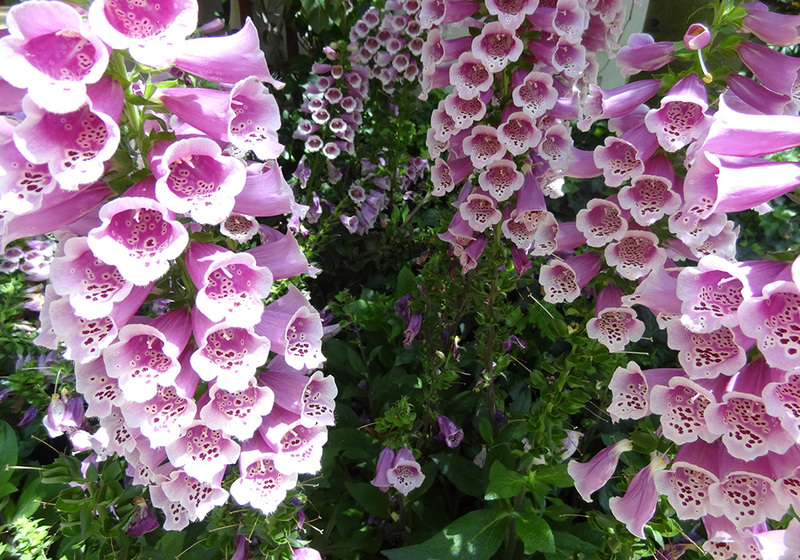 I found the Digitalis Foxglove to be the most beautiful, a symphony of trembling purple petals with white interludes. 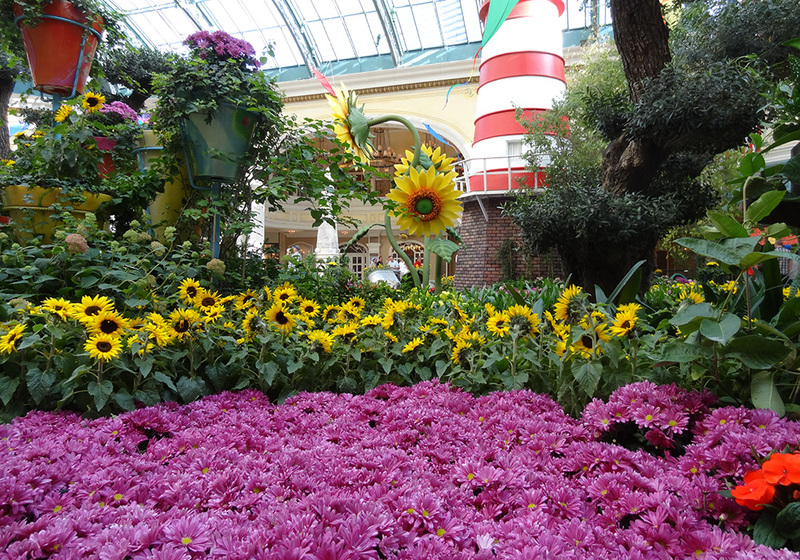 Sunflowers also dazzle, crisp yellows amidst dark greens. 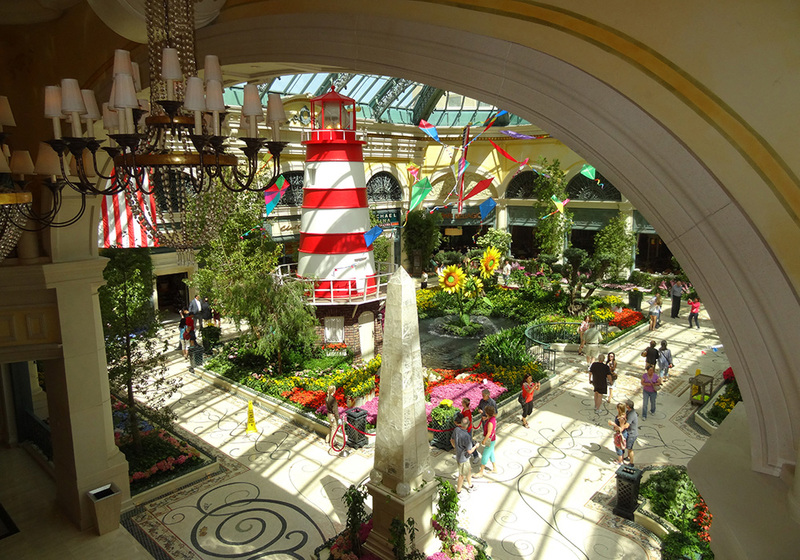 Between the sun-soaked space, fragrant flowers, and gurgling, lapping water, you will feel better within minutes. Mrs. Green Thumb, as you might imagine, was a wellspring of horticulture information. 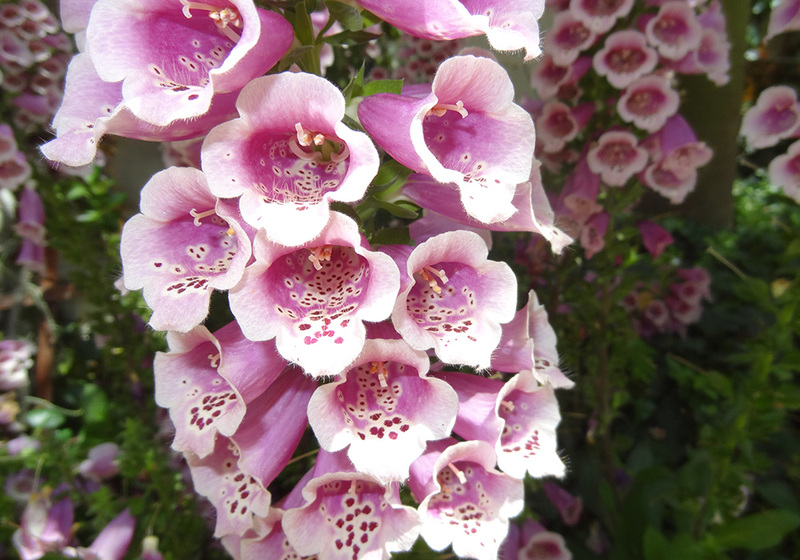 She explained that the lovely flower I liked, Digitalis Foxglove, has numerous medicinal properties and is used in the drug digoxin for heart conditions. The saxophone player, Ed Judd, whipped-up a storm of feel-good music! When he stepped off stage, and played while walking around, he soon became the pied piper of the garden as children danced and followed him. 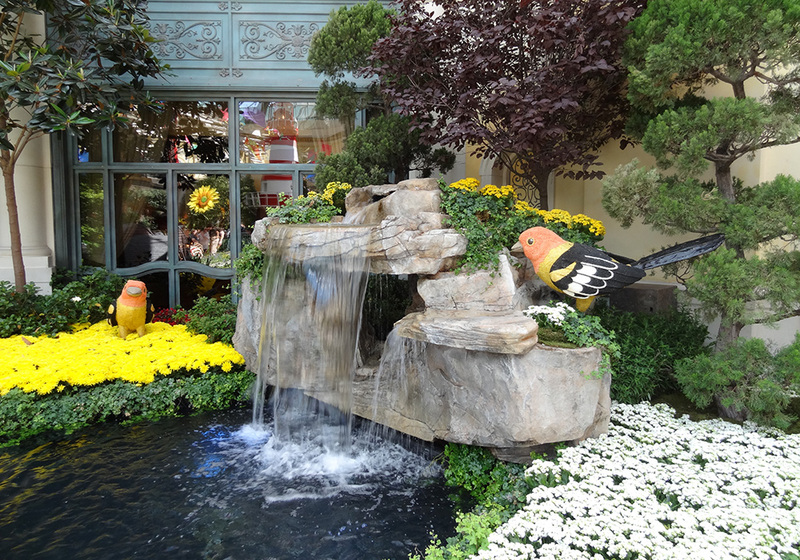 The Bellagio Conservatory and Botanical Gardens still rank as one of the top free activities in Las Vegas.